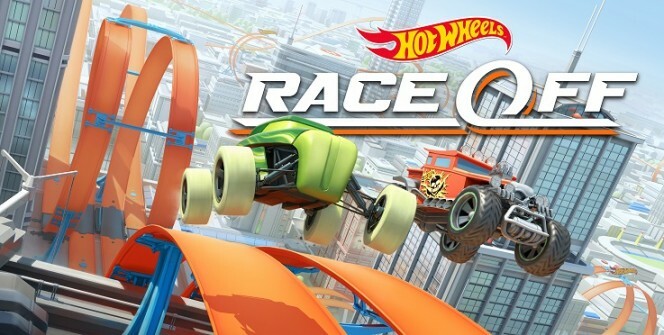 Offered by Mattel and Hutch Games, Hot Wheels: Race Off is an Android and iOS game that requires you to choose a Hot Wheels car and race it on a physics-based track as you compete with other players or the computer AI. The aim, when playing the action and adventure game, is to finish the track ahead of other players while ensuring the car is in excellent condition. The racing game is played on mobile devices, but with an Android emulator, it can be installed and played on a PC. 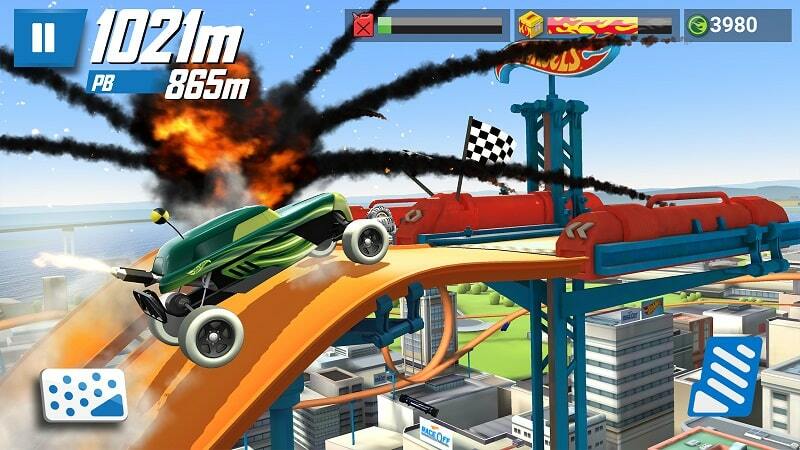 The game presents you with more than 20 Hot Wheels cars that you can drive on more than 40 insane racetracks. The orange racetrack is equipped with jumps, loops and boosters that you can blast off to enjoy some advantage. At the start of the game, you are given one car that you need to compete with until you get enough credit to buy a better one. As mentioned above, the aim is to finish ahead of other players and at the same time ensuring your car remains in good condition. But finishing ahead of other players is not very important because you can always try again if you don’t make it in the first position. You should make sure that you avoid crashing and also focus on optimizing fuel consumption. Gas is hard to come in this racing game, so you need to use it appropriately. When heading into a loop, you can let off the gas to conserve the fuel. You can use the speed boost strips provided at the beginning of the loop to drive at top speeds without using gas. In order to improve your chances of winning in this game, you need to keep upgrading your car. All-around upgrades are the best as they improve all components of your car. Some components that you should prioritize when upgrading include speed, stability, tilt and stability. The racetracks in Hot Wheels: Race Off are not straight, but this is a good thing because anytime that your car flips or becomes airborne you earn stunt chests. In order to win more chests, you can get more airtime or perform more flips as you race across the tracks. The chests come with incredible rewards that you can use to upgrade your vehicles and other components. On the screen, you can click on the “Open Present” icon to obtain some free stuff. There are a lot of items you can get from this present section, including gems which are the game’s premium currency. You can use these rewards to improve your vehicle and boost other components of the game. These rewards will definitely help you save your money, so you will be having enough to purchase new cars when you open the presents. As indicated above, using an Android emulator is the best way to download and install this action and adventure game on your laptop, MAC or desktop. The emulator allows you to access apps on your PC which means that you can download the game app on your computer. Sometimes when playing Hot Wheels: Race Off, bluestacks ask you fee to pay but gives you option to download some apps. Every time it asks you just select “Install apps” and continue using it free. I hope you enjoyed this article, please rate and share. If you have problems running Hot Wheels: Race Off on desktop or any other issues, leave a comment below.